No custom configuration required in GitHub for this type of authentication. If 2FA is being used, Basic Authentication can not be used, OAuth is the the only option. 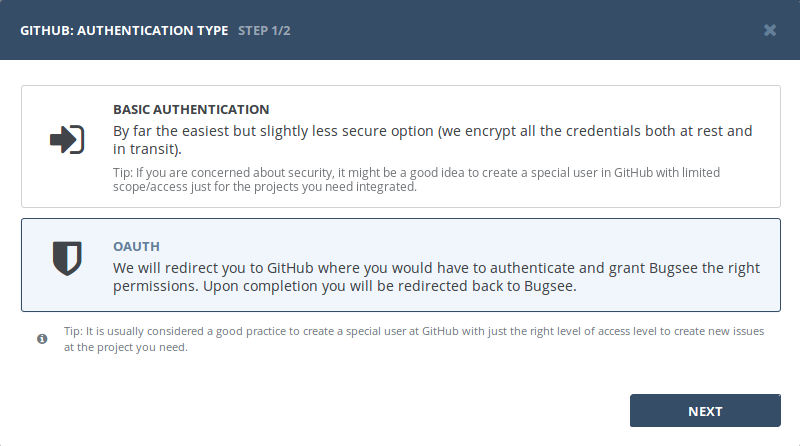 Once the user authenticates Bugsee to GitHub the integration will continue working as long as the token is valid. You will be presented with dialog asking you to authorize Bugsee. 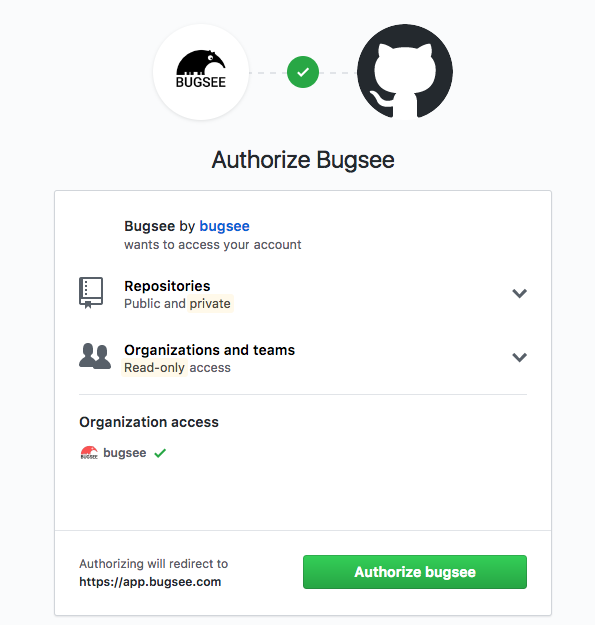 Click Authorize to allow Bugsee access your GitHub. There are no any specific configuration steps for GitHub. Refer to configuration section for description about generic steps.